 Jains Aashraya is a residential development of Jain Housing. Located in Bangalore South, it is built across a wide area. These luxurious 2BHK and 3BHK apartments makes it a dream home to everyone. These apartments are beautifully crafted with basic amenities. Bannerghatta Road is named after the Bannerghatta National Park, and is the latest hub for realty growth having witnessed some extensive residential launches in recent years. IT & ITES segments have been the determinants for making it a popular investment destination and some of the big names of the corporate world, particularly IT have already invested here. Other reasons being easy access to the important city locations, shopping malls, hospitals, and uncongested areas. Besides, Cauvery water supply and availability of plots at affordable rates to the builders are other reasons which lured a number of reputed builders to come up with their projects in Bannerghatta Road. Affordable property pricing, faster occupancy of office spaces, and growing industrial activities have contributed in catalyzing real estate growth in Bangalore. This city certainly has a hold on to its robust growth. Though it is getting crowded day by day and available plots and open areas are being occupied at a faster rate, Bangalore still manages to preserve the attention of the buyers, investors and property builders. With expansive lush green belts and pollution free areas, fringes of Bangalore have been quite popular among the homebuyers who prefer living away from the hustle and bustle of the city. Metro link and planned widening of key arterial roads have added value to these city fringes. What is the project location?The project is located at Bannerghatta Road, Bangalore South. What apartment sizes are available in Jains Aashraya? The project offers apartments sized between 1086.0 sqft and 2541.0 sqft. What is size of 2 bhk in Jains Aashraya? 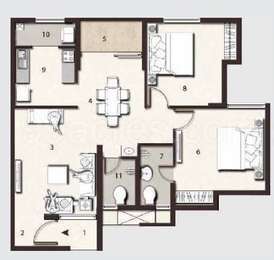 The area of 2 BHK apartments ranges from 1086.0 sqft to 1101.0 sqft. 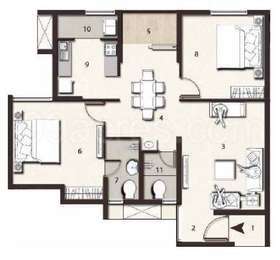 What is the area of 3 bhk in Jains Aashraya? 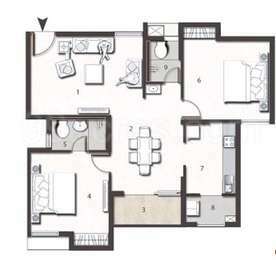 Three-room units (3BHK) in the project are available in an area of 1375.0 sqft to 2541.0 sqft. How much is the total size of Jains Aashraya?The project is spread over an area of 1.37 Acres. What is the 2 bedroom price in Jains Aashraya? 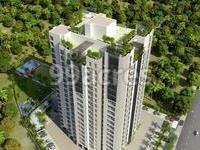 2 BHK units in the project are available at a price tag of Rs. 4772970 to Rs. 4838895.
f Jain's represents years of experience and an extensive portfolio of successful projects.